We all want the best for our pets and we want our pets to be healthy and happy. You can improve your dog’s health by choosing the best diet. 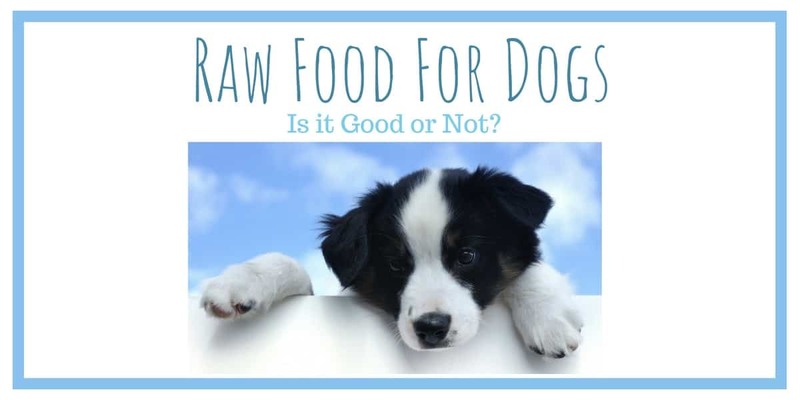 If you’ve heard about raw food for dogs you might be wondering if it will suit your own dog. There are a few things to consider before you decide on whether a raw rood diet is right for your dog. Always use a Slow Feed Dog Bowl to avoid bloat, choking and air gulping. Raw food for dogs has to be good, right? It sounds like clean eating for humans. Surely, anything natural is better for us. This is mostly true but it depends on what the raw food is that you’re giving your dog and it also depends on what age and stage your dog is at. There are lots of different diets suggested for dogs and one of those is the raw food diet. Deciding whether it’s a good choice for your pet or not will depend on specific factors such as the dog’s age, his health and whether or not he currently has any conditions that must rely on a particular nutritional balance. What do I feed my dog on a raw food diet? This Stainless Steel Slow Feed Bowl includes a silicone non-slip base. It comes in two sizes and it’s dishwasher-safe. Click Here to see the current Price. When feeding your dog a raw food diet, it means that you’re going to focus on foods like fruits and vegetables, lean raw meats and some types of dairy. Certain types of dogs do well on raw food diets, but others don’t. If you decide that you want to do this, then you need to understand the right balance for your dog. There are many benefits for your dog from a raw food diet. You’ll notice that he has more energy, that his coat looks better and that he seems healthier. But this is only true if you feed your dog the raw food that is best for him. The closer dogs can eat to the way of their ancestors is good for them which is why some dog foods are so bad. They contain far too much grain and dogs are carnivores. If you choose the raw food diet for your dog, you’ll need to buy meats like beef or liver, chicken and bones. But always remember that the bones must be raw, not cooked for your dog. If you want to feed your dog pork you’ll need to do your research first. It is not safe to feed dogs raw pork due to the parasite content in pork. If you’re following a raw food diet for your dog, you’ll need to avoid pork. If you really do want to feed pork to your dog, you’ll need to cook it first. However, pork is rich in a type of fat that is difficult for dogs to digest. This can lead to inflammation of the pancreas in your dog. It can also produce digestion problems. This is why you’ll need to check with your veterinarian about how much cooked pork is suitable for your specific size and breed of dog. Bones can be included in a diet of raw food for dogs. You have to be careful with bones because dogs can get them lodged in their intestines or injure their mouths. Bones must be large enough so that a puppy or dog cannot fit the whole bone in its mouth and they shouldn’t be able to swallow the bone whole. Dogs can have certain types of food like raw eggs or yogurt on a raw food diet. The diet, when done correctly can help your dog live a long and happy life. If you’re considering raw food for dogs, it might be because you have a new puppy. It’s not a good idea if you have a puppy to put them on a raw food diet. Because puppies are in a stage of constant growing, you can unintentionally rob them of the nutrients they need. This is important to grow healthy muscles, strong joints and bones. If you’re feeding them too much raw meat they may not get enough of the nutrients they need. This also applies with too much of another food in their diet without balance. If you feed a puppy a raw food diet, you have to be sure that they’re getting the right amount of calcium too. Generally, it’s better not to give a puppy a raw food diet. There are good puppy foods that are natural and healthy for your dog and this is a good alternative. You may want to switch to raw food for dogs as your puppy gets older. Also, there are different puppy foods for different size breeds. See more here on the Top-Rated All-Natural Puppy Foods. Adult dogs, however, can benefit from eating a diet of raw food for dogs. You can give them more spring in their step, fewer gastrointestinal issues than they get with processed food and a stronger immune system. Of course, you need to take care not to feed your dog any foods that are toxic to dogs. Many foods that are safe for humans are dangerous for dogs. Remember not to feed your dog foods like onion, garlic, nutmeg, chocolate, caffeine, grapes, sultanas, raisins, avocado, nuts, mushrooms and more. This is not a comprehensive list so be sure to research dangerous foods for your dog if you haven’t already been given a list by your veterinarian. There are lots of foods that are toxic to dogs, so you really must be aware of them. Perhaps you could keep a list of these dangerous foods on the fridge as a quick reference. This also helps visitors to your home to know which foods not to give your dog. Feeding senior dogs a raw food diet will depend on the dog. What you may think is the best raw food for dogs may not be the best for your senior dog. If your dog is struggling with his health, he could probably use the more natural way of eating. It could help improve issues that he might be having. Raw foods are often much easier for them to be able to digest than commercial dog food diets are. But if your senior dog has been eating commercial food for most of his life and that’s what he’s used to and he’s healthy, then it may not be the right time to change. It is worth talking to your vet about your senior dog’s diet. You need to do this in case there are nutritional requirements/supplements needed to help joint issues or other problems. This is a very popular slow feed bowl because it has so many areas in it to slow your dog’s eating down. See the current price here. If you choose to feed your dog a raw food diet, regardless of his age, you’ll want to introduce it slowly to give his system time to adjust to the new change in his way of eating. And remember, whether you’re providing packaged dog food or raw food, always use a slow feed dog bowl to reduce the chance of bloating which is a very serious problem in dogs. If you’re wanting to improve your dog’s health and you’re not sure about raw food remember to consult your veterinarian. Every breed and every dog is different and different types of foods suit different dogs better. You know that already but it’s worth mentioning because once you start with a certain diet your dog is likely to be on it for many years. You want to get it right from the beginning. ⇒ Want to see the best Slow Feeder Dog Bowls? Take a look at them here.